BioWare might be one of the best known, and best loved, developers in the world, but vice president and co-founder Greg Zeschuk says that the developer isn't taking its success for granted. 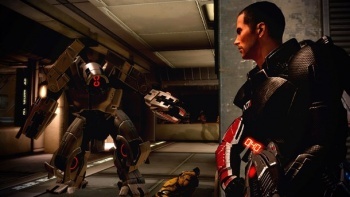 Zeschuk says that BioWare is in a privileged position since its acquisition by EA in 2007. He says that EA gives the studio the support and budget it needs to make "great big giant games," and acknowledges that it's an enviable situation to be in: "I think we know how lucky we are," he said. "We always know that we're super-fortunate that we have a nice combination of things going on." But Zeschuk isn't becoming complacent and says that while BioWare's games are successful, there are always bigger fish around to keep things in perspective. He says that it is a running joke at BioWare that it would be "satisfied" if The Old Republic did half as well as World Warcraft, and that games like Modern Warfare 2 had redefined what it meant to be "successful." "Well, we need to sell 10 million units, that's actually the new target, right?" Zeschuk joked, "Sometimes I'm facetious when I say some of those things, knowing that we can sell a few million but seeing that someone else can sell 25 [million]. You're kinda like, 'Well, that's a hit!'"